Sim2 is well known for it’s DLP technology but they have now teamed up with Dolby to produce a LCD using high-dynamic-range(HDR) technology. 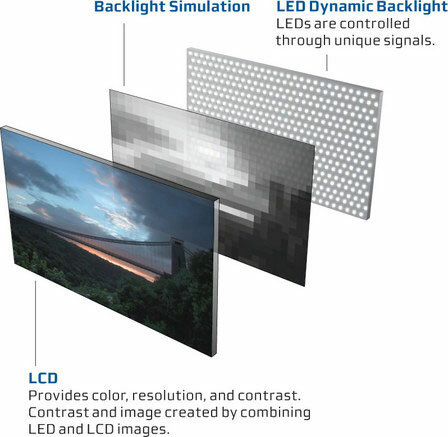 The prototype 46 inch LCD uses HDR technology for backlighting images using a backlight copy of the image to increase brightness where it is needed. 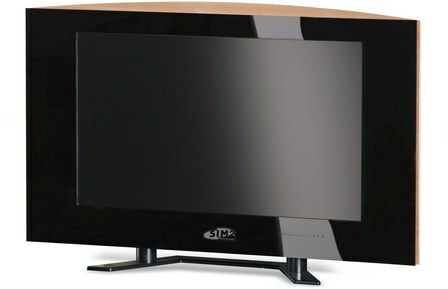 Dolby and Sim2 showcased their TV as a high-dynamic-range-enabled LCD TV that is capable of reaching extremely high levels of brightness and contrast. The 46 inch model uses BLU (BackLight Unit) made by Sim2 with 1838 LEDs and maintains a resolution of 1080p (1920×1080p) in a 16:9 aspect ratio.This prototype sports a contemporary and stylish design, befitting the most diverse of home interiors; it is a new masterpiece by the award-winning designer Giorgio Revoldini. Compared to today’s LCD TVs, which typically feature a brightness of a several hundred cd/m2, this prototype is rated at 4000 cd/m2. The contrast ratio is, according to Dolby, “infinite”. The luminance of the screen is uniform throughout 95% of the screen, the manufacturers said. The prototype also uses a Xilinx Virtex FPGA, which, according to Dolby, enables the implementation of the firm’s “complex high-dynamic-range algorithms in the Sim2 display”.